A colleague recently sent me an article by National Geographic called “Can The Ocean Feed a Growing World” . The article says that food production will need to double by 2050 to accommodate the world’s population, and that farming fish could be the answer. But National Geographic isn’t the first organization to talk about the 2050 food crisis. One of my favourite discussions on the topic is from former commodities trader Sara Menker’s talk at TEDGlobal 2017 . She offers a simple description of the problem and who it will affect most. Ms. Menker uses the word “structural” several times in her talk. I think she uses the word to describe policy and industry reform, which is undeniably crucial, but from my perspective there’s another interpretation: literal growing structure. 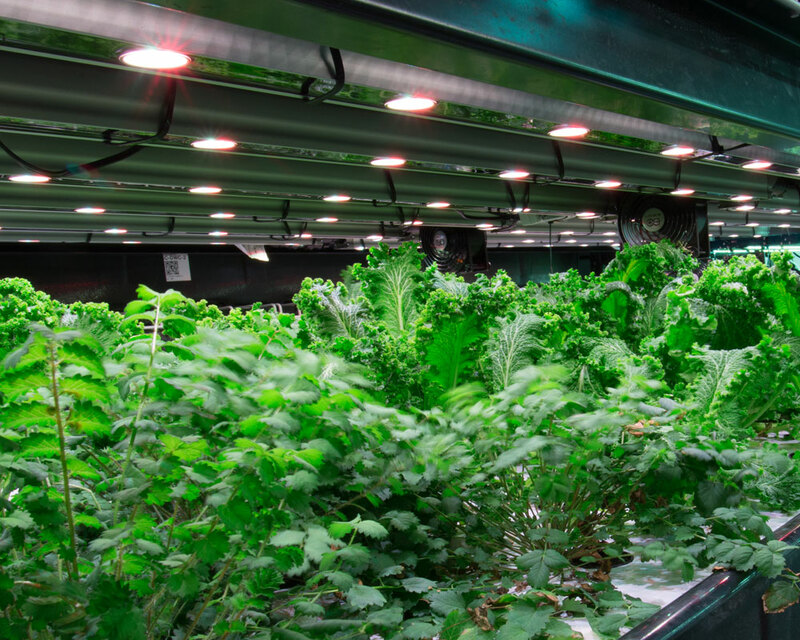 HBI has seen a trend in agribusiness to move towards higher yield-per-square-foot facilities. Really, it just makes sense. Densifying your assets lowers facility costs and raises profits – an easy sell to stakeholders. That’s why we’ve been championing high-density, vertical growing equipment for years, and established Bloom Vertical to support sustainable trends in agribusiness. 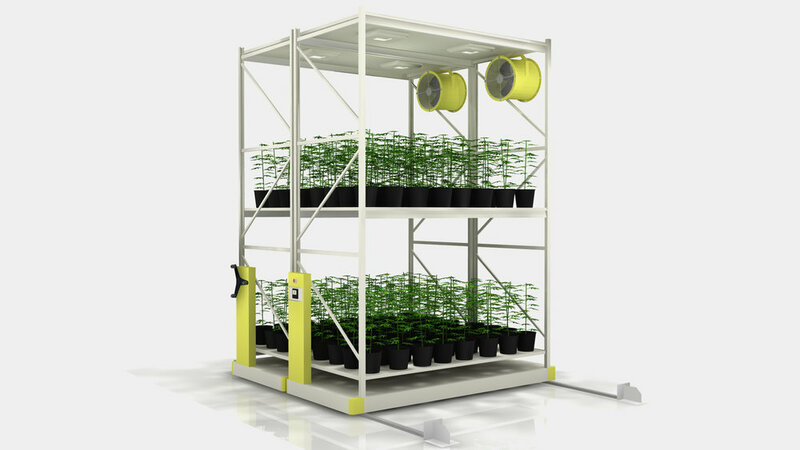 Vertical Growing is not a new idea but it’s become more popular with the imminent legalization of adult-use cannabis in Canada. This has given us a chance to test our systems against real facility needs. The results surprised us. How do you attach resources to a vertical structure? Can custom brackets be guaranteed for safety? How do you protect lighting electronics from the water being distributed nearby? How do you clean everything in case of disease? 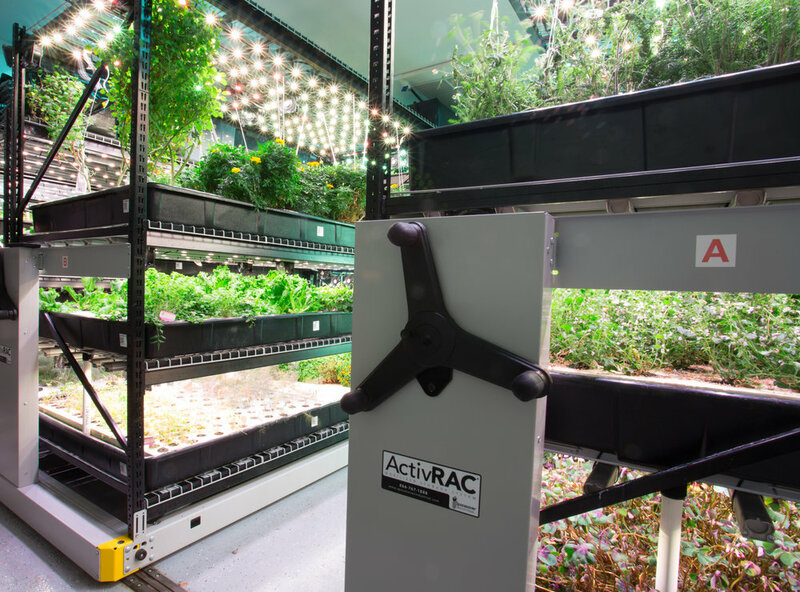 Enter the Grower’s Rack, Canada’s most integrated growing system. I’m not sure what the whole answer is to solving the 2050 food crisis, but I do know that HBI is doing our part. Like Sara Menker said in her talk, “We can make a bold commitment to increasing yields – exponentially”. Sometimes it starts right here at home.